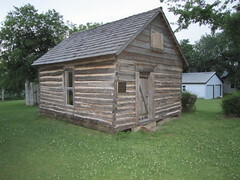 This cabin is the oldest known homestead in Payne County. 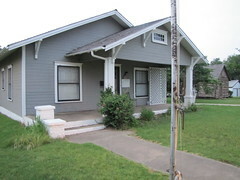 Built in 1876 by Pawnee Rice and later occupied by the William Sherman Tecumseh Kirby family. 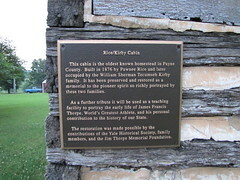 It has been preserved and restored as a memorial to the pioneer spirit so richly portrayed by these two families. As a further tribute it will be used as a teaching facility to portray the early life of James Francis Thorpe, World's Greatest Athlete, and his personal contribution to the history of our State. 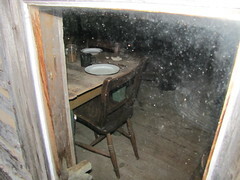 The restoration was mad possible by the contributions of the Yale Historical Society, family members, and the Jim Thorpe Memorial Foundation.